I stupidly decided to go into York city centre on a Saturday afternoon. That was probably not my best idea because it was packed. It seems that there is this new thing (or is it an old thing) of hen and stag parties that last all day, and groups of revellers tend to block footpaths. The biggest hazard, however, if the wobbly phone walker. What I mean here is the person who has to walk along looking at their phone and without realising it they are all over the footpath and block the way much more than any drunkard ever did. The streets in York are narrow because they are medieval, so it only takes one wobbly phone walker and that’s it. I also endured the people who push into the queue in cafes and think it’s funny. I faced the cafe customers that save tables for someone behind you in the queue. You know that thing when you go into a cafe and there are lots of free seats, but as soon as you have been served they all seem to have been taken. The moral of this story is never drink alone. 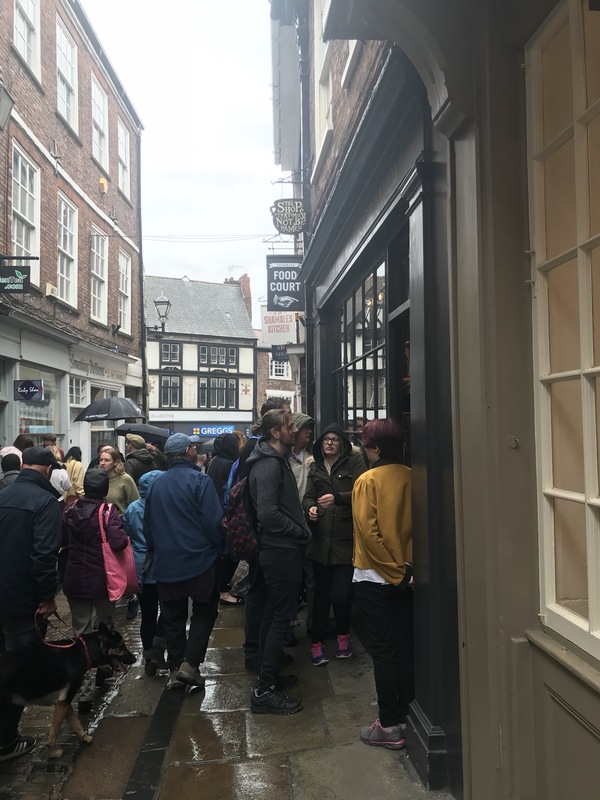 The new Harry Potter shop and the York Roast shops both had long queues outside them. 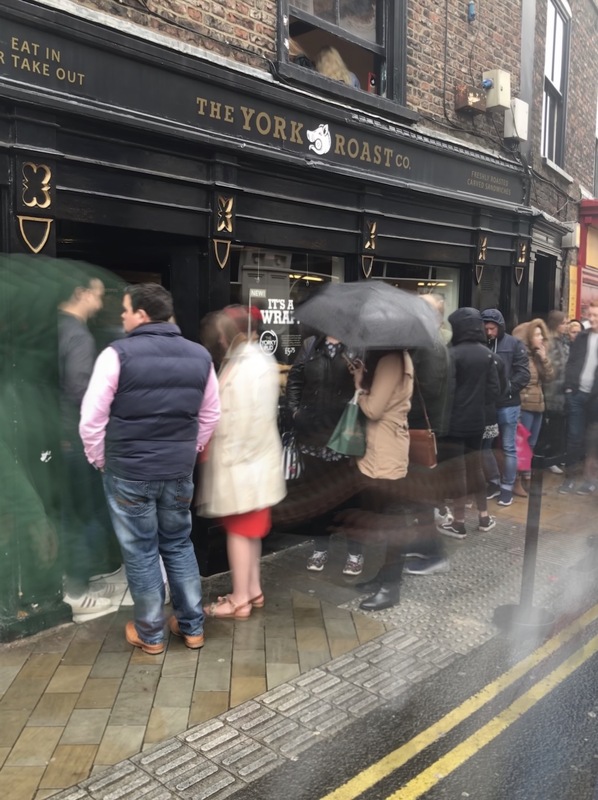 The York Roast shop has become very famous for its Yorkshire pudding sandwich and has made national TV. As a vegetarian, I didn’t join the queue for the famous Yorkie sandwich.